After deciding that a graphic design degree wasn’t right for her; Liz trained and qualified as a Veterinary Nurse. 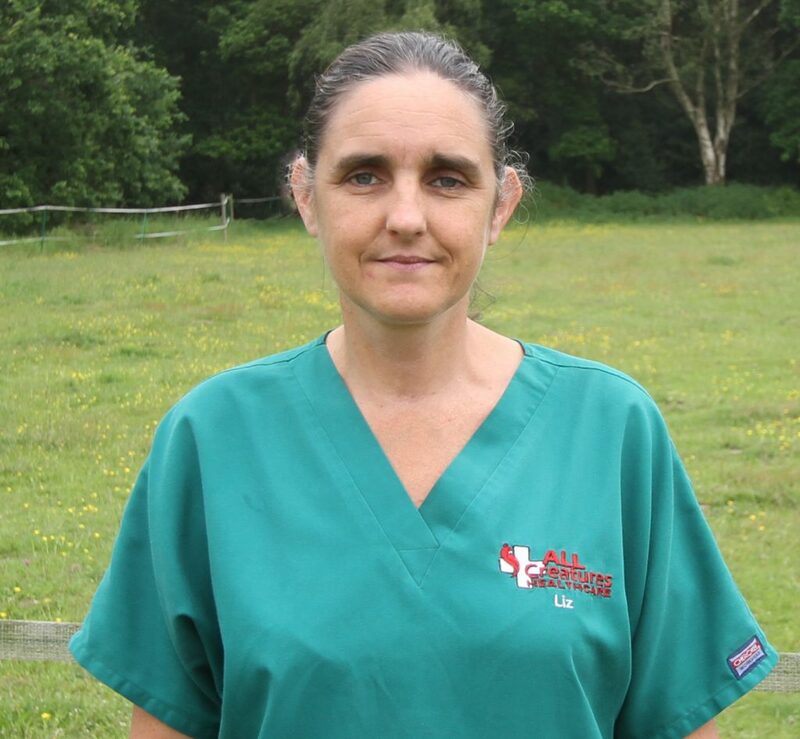 After working in the industry for over 27 years, she joined us here at All Creatures in November 2015, bringing her wealth of experience to our nursing team. When she’s not working, Liz enjoys being outdoors; walking the dog and gardening. Liz, also, has a creative side, with a interest in arts and crafts including knitting, quilting and sewing. At home, Liz is a pet-parent to a clan of five – Stanley and Pixie the dogs, Charlie and Luna the cats and Oreo and Humphrey the guinea pigs.